Last week was a bland week of commuting and one gym visit. I was feeling quite run down so I biked to work most days, and went the long way a couple of times, but generally took it easy. The cold nights do not encourage me to get out for a ride. The weekend was a different story. Saturday was a gorgeous day and Pete and I loaded up the bikes and headed over to Port Levy to the farm. We’ve done a bit of walking there and its steep, hilly land with a decent amount of bush in places. And it has a gorgeous view of the bay. The plan is to get some rudimentary accommodation over there and build some tracks, so we were on a reccy mission to suss out potential dwellings and trails. Being winter and being on a cattle farm meant there was plenty of mud for skidz (both intentional and accidental). I’d put my big fat 2.35 knobbly tyres on knowing it would be wet, but man, they made it hard work grinding up the grassy paddocks. Pete and I basically just went for an explore, with little idea of where we were going. Lots and lots of climbing was done. Not much distance was covered, but I was really happy with my riding. I climbed a couple of silly steep paddocks that I didn’t think I’d be able to and after a few rests I was always able to get back on the bike and keep going up. Once more I was extremely grateful for my Crank Bros clips, I would have been having all sorts of probs with normal SPDs in that mud. Even with the Crank Bros I had to stop once and dig all the mud and clay out as I couldn’t get into the pedals. The downhills were all exciting. 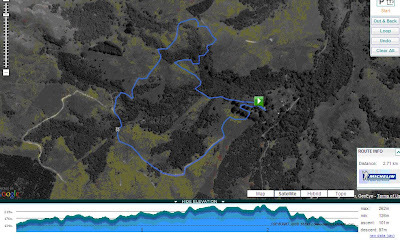 Either crazy slippy, rutty farm tracks with holes and rocks, or stupidly steep lumpy wet paddocks. Fun. I was grinning like an idiot from behind my full face (yep, I was wearing a full face helmet all day, and it was bloody hot in there). I managed to do a couple of dodgy stream crossings without falling in and then at the very end of our ride I found a really fun wee line through the roots under a stand of macracarpas that had a sweet wee drop off at the end. It really was a brilliant day, made exponentially better by getting to share it with Pete. Its been so long since we’ve been riding together, it was just heaven having him to myself in the country. On the way back we stopped at the Governers Bay pub and had a feed (and I had a very nice glass of wine, mmmmmm), which was topped off by the most delicious white chocolate and contreau baked cheese cake. I felt like I’d earned it. Sunday I was feeling quite tired from my exertions of the previous day, but Pete was keen for a ride and who am I to say no. We whipped up Kennedy’s. Well, Pete whipped up Kennedy’s, I struggled up in the freezing wind with my heavy tyres. My legs were wasted, but I was happy with how fast I got up the road. We continued up the singletrack and I had to put another layer on it was so cold. After a bit of single track player, vrroooom, it was back down the hill and on with the coffee machine for a hot chocolate. Of course an hour after we got back it was lovely and warm, typical. Anyway I’ve found a very cool site called mapmyride.com which show all sorts of groovey things like elevation, here’s the Kennedy’s ride from Sunday.